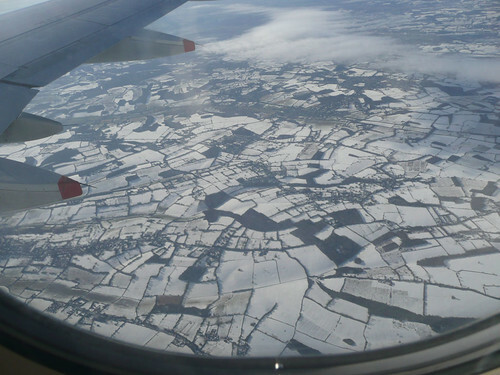 Everyday Geographies: UK snow 2009 - field boundaries tessellate in the landscape below. UK snow 2009 - field boundaries tessellate in the landscape below. Snowy landscape, originally uploaded by wendyn56. Taken on a BA flight from Manchester to Heathrow - see previous post.